Personalized follow up videos increase the odds that a late stage prospect will buy. Not only do videos succinctly show information, but they build connections through facial expressions and tone of voice. The marketing team at SalesLoft found that 75 percent of late-stage prospects who received personalized videos became closed won deals. 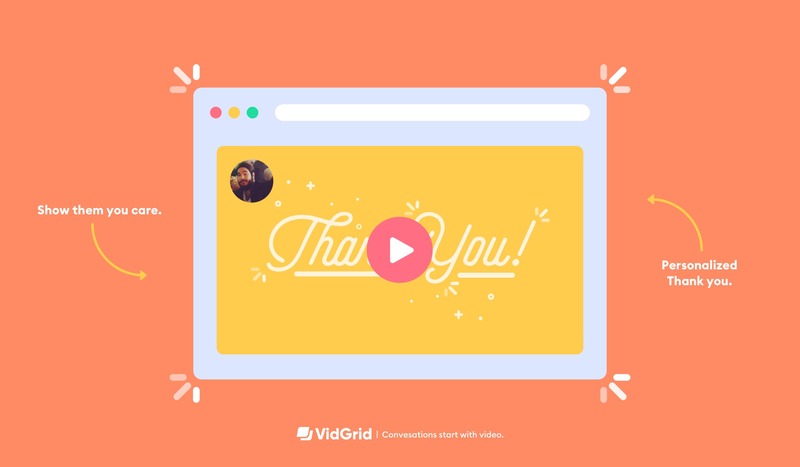 After you’ve connected with a customer, a follow up video is a great way to recap important points and close the loop instead of a text-heavy email. Create a short, concise video to reiterate points from the meeting. If you are covering multiple points, split your screen to show your face on one side and a slide on the other side to make it easy for the viewer to follow along. Just like with any sales pitch, you want to tie in the value prop to the buyers needs for them, so it seems like a no brainer. End with a clear call to action that invites your buyer to take the next steps. GridTip: Make this video with the intention of having it shared with every stakeholder at the org. Still waiting to hear back from your opportunity? Send them a friendly check in video to prompt a response. Continue the sales cycle within being a nag. Did your buyer miss their meeting with you? Shoot over a video note with your calendar to reschedule. These videos can be short and fun. You are not trying to say everything in this video as much as you are building rapport, reminding the buyer why they are interested in buying, and opening the door to the next conversation. End with clear video call-to-action. What should the buyer do to continue the sales process? Make sure they can take that step right from the video.